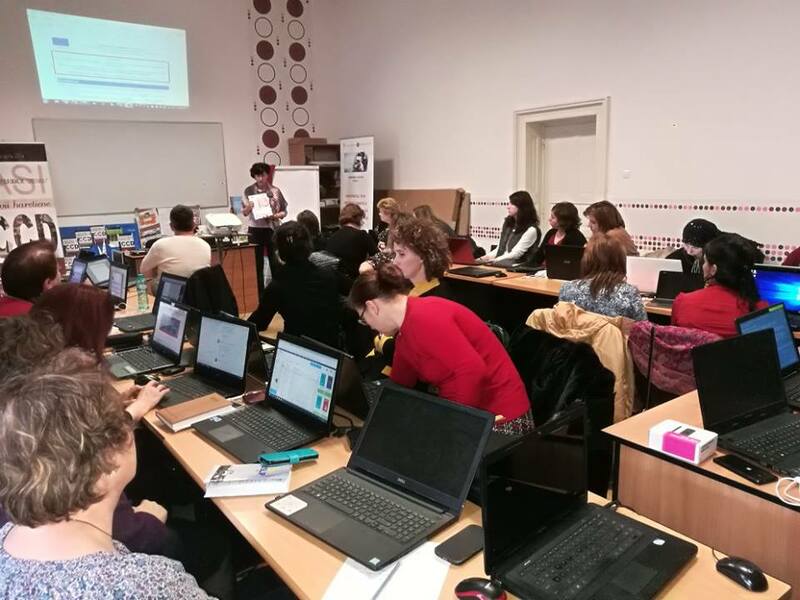 Maria Achitenei had a presentation of Off Book Project during the first day of the Workshop for Writing KA2 Projects, held in Iasi, at CCD (The County Educational authority center for teachers) on the 6th of February 2018. She spoke about the project, about the partnership, about the project objectives and expected results and she handed out project brochures to the participants. There were some questions among the participants and M.Achitenei answered them and then she spoke about the development of the project and explained in what way other schools may benefit from the guidelines and TABS (theatrical activities examples developed in Theatre laboratories). 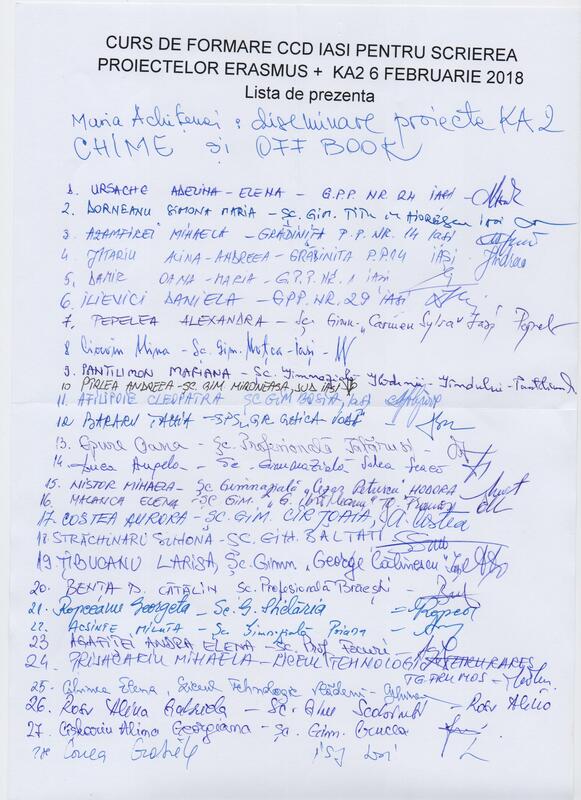 The participants acknowledged the presentation by signing on a list. Further cooperation is expected from a couple of schools' representatives.